Henry Beston (born June 1, 1888 in Boston; died April 15, 1968 in Nobleboro, Maine) was an American writer and naturalist, best known as the author of The Outermost House, written in 1925. Henry Beston Sheahan grew up in Quincy, Massachusetts with his parents, Dr. Joseph Sheahan and Marie Louise (Maurice) Beston Sheahan, and brother George. Beston attended Adams Academy in Quincy before earning his B.A. (1909) and M.A. (1911) from Harvard College. After leaving Harvard, Beston took up teaching at University of Lyon. In 1914 he returned to Harvard as an English department assistant. Beston joined the French army in 1915 and served as an ambulance driver. His service in le Bois le Pretre and at the Battle of Verdun was described in his first book, A Volunteer Poilu. In 1918, Beston became a press representative for the U.S. Navy. Highlights from this period include being the only American correspondent to travel with the British Grand Fleet and to be aboard an American destroyer during combat engagement and sinking. His second book of journalistic work, Full Speed Ahead, described these experiences. Following the end of World War I, Beston began writing fairy tales under the name "Henry Beston". In 1919, The Firelight Fairy Book was published, followed by The Starlight Wonder Book in 1923. During this time, he worked as an editor of The Living Age, an offshoot of The Atlantic Monthly. He also met his future wife Elizabeth Coatsworth, a fellow author of children's literature, during this time. The Outermost House, now considered a Cape Cod nature literary classic, was written after Henry Beston spent what he called "a year of life on the Great Beach of Cape Cod". Spiritually shaken by his experiences in World War I, Beston retreated to the outer beach at Eastham in search of peace and solitude. "Nature is part of our humanity, and without some awareness of that divine mystery man ceases to be man," Beston wrote. Beston, who dedicated himself as a "writer/naturalist", is considered one of the fathers of the modern environmental movement, and The Outermost House has been called one of the motivating factors behind the establishment of the Cape Cod National Seashore. Author Rachel Carson said that Beston was the only author who ever influenced her writing. The 20x16 house, dubbed "the Fo'castle" by Beston, was built by Eastham carpenter Harvey Moore in the late spring of 1925. Beston stayed there, on and off, for about two years, leaving the beach occasionally, but was usually on the beach for the many severe storms that struck the Cape in the winter. His house was located two miles south of the Nauset Coast Guard Station, with the Atlantic Ocean near his front door and Nauset Marsh behind him. His only neighbors were the Coast Guard officers, who patrolled the beach. The Outermost House was published in 1928, and has gone through dozens of printings since then. An audiobook version was released in 2007. Beston married writer Elizabeth Coatsworth in 1929, and the couple eventually bought a farmhouse called "Chimney Farm" in Nobleboro, Maine. Beston wrote several more books while living in Maine (Northern Farm and Herbs and the Earth among them), but never again approached the overall quality that he achieved in The Outermost House. In the 1940s, Beston received honorary doctorates from Bowdoin College, Dartmouth College, and University of Maine and was made honorary member of Phi Beta Kappa at Harvard. He was also made honorary editor of National Audubon Magazine. In 1949, a twentieth-anniversary edition of The Outermost House was released. Beston also edited an anthology of writings about Maine, White Pine and Blue Water (1950). Beston lectured regularly at Dartmouth College and wrote for publications like The Atlantic and Christian Science Monitor throughout the 1950s. He also revised his earlier work in children's literature and published Henry Beston's Fairy Tales in 1952. In 1959, he was the third recipient of the American Academy of Arts and Sciences' Emerson-Thoreau Medal, previously awarded to only Robert Frost and T.S. Eliot. Beston donated the "Fo'castle" to the Massachusetts Audubon Society in 1959. One of its tenants was a woman from Sharon, Massachusetts named Nan Turner Waldron, who would spend several weeks each year there from 1961 to 1977. Her experiences are chronicled in the book Journey to Outermost House. With his health deteriorating, Beston returned to the beach in Eastham one last time on October 11, 1964, when his famous house was dedicated as a National Literary Landmark. Beston died on April 15, 1968 in Nobleboro, Maine. The house was carried away by astronomically high tides during a winter hurricane in February 1978. Waldron wrote that thousands still come to the beach each year, wanting to learn more about this man who retreated to the outer beach "in a search for the great truth, and found it in the spirit of man," as his National Literary Landmark dedication plaque read. "Many know the book, some carry it with them," Waldron wrote. "Still they come, pilgrims of a sort- stirred by his sense of wonder but drawn by his vision of hope." Poet Kate Barnes (1932- ) is the well-known daughter of Henry Beston, and she presently resides on a farm in Appleton, Maine. As a poet, Kate Barnes is best-known for her two finely published editions Where the Deer Where and Kneeling Orion, both published by the house of David R. Godine. Godine is a Boston-based publisher of fine literary works and is one of few successful independent literary houses that continue to publish fine literary poetry. Note that David Godine has also established himself as one of the best publishers of rare edition letter press books (of which Barnes' Where the Deer Were was one). 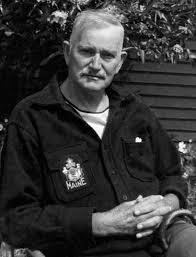 Many of Barnes' poems have an historical family theme or Maine-based theme and thus appear have appeared in many Maine-based journals and publications, although note that this does not preclude Barnes' publications outside of the Maine area.